Are These Characters Real Life Twins Or Not? Are these actors performing in these films with their twin, or are they portraying both parts? Test your knowledge here! Are these badass characters from Terminator 2 played by real twins or not? Linda Hamilton has a twin! Leslie Hamilton Gearren, who is not a professional actress, is the identical twin of Linda Hamilton, who portrays Sarah Conner in Terminator 1 and 2. Leslie portrays her sister's double in a few scenes from Terminator 2. Are these two cuties from The Parent Trap (1998) actual twins? 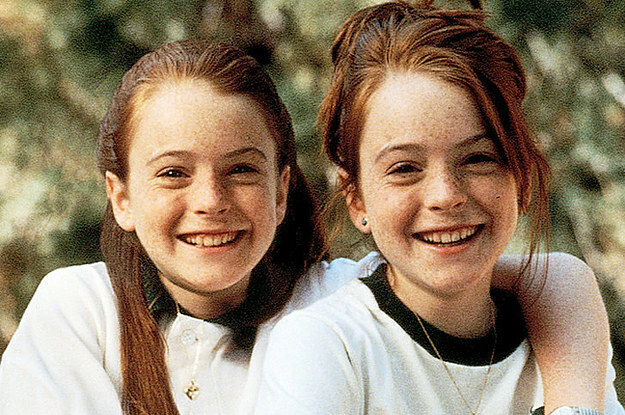 Lindsay Lohan doesn't have a twin. With the help of a double for certain scenes, Lindsay Lohan played both of the twins in the movie. However, one of her relatives, her younger brother Michael, played the role of the lost boy at the girls camp. What about these two handsome men from Alien: Covenant? Michael Fassbender doesn't have a twin. Michael Fassbender portrayed both of the twin robots in Alien: Covenant. These two creepy twins from The Shining (1980) must be the real thing, right? The actresses who portray the Grady sisters are twins in real life! Lisa and Louise Burns, who are identical twins, portrayed the two creepy sisters (who were referred to as twins in either the book or the film script) in the The Shining. What about these two sassy girls from Billboard Dad? These two are definitely twins! Unless you lived under a rock for the latter half of the 80s until about 2004, you know that Mary Kate and Ashley Olsen, fraternal twins, created an empire out of their success in films, television, and more. And these two beauties, from the supernatural horror The Forest? Natalie Dormer doesn't have a twin. 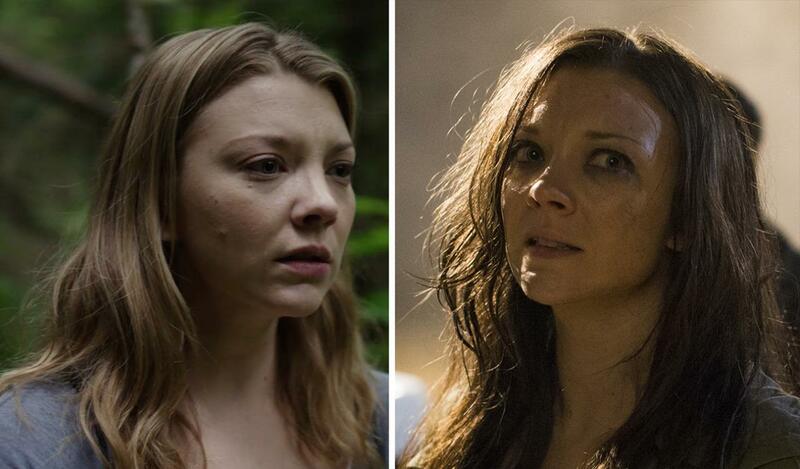 Natalie Dormer portrayed both Sara and Jess Price in The Forest. Are these henchmen from The Matrix Reloaded real twins? These two really are twins! Neil and Adrian Rayment portray the Twins in The Matrix Reloaded. These two have the ultimate reveal in The Prestige. Are they twins? These twin brothers are portrayed by one actor. 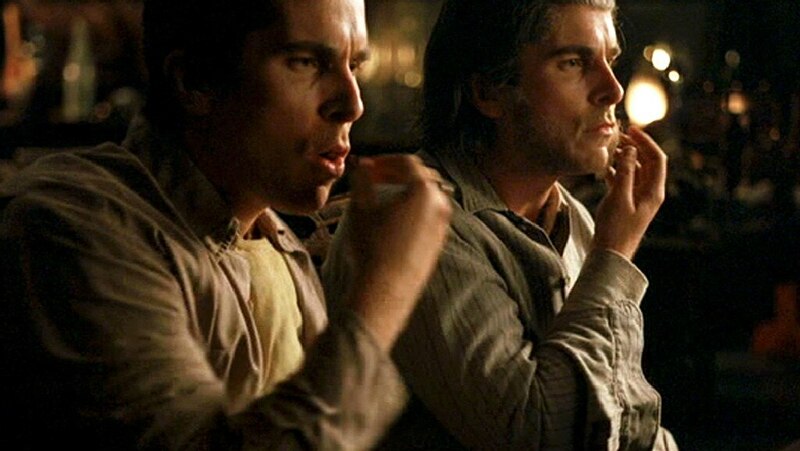 Christian Bale portrays both Alfred Bordon and Fallon, revealed in a twist ending to be twins in The Prestige. Are these magical twins from the Harry Potter film series actual twins? The Weasley twins are portrayed by actual twins! Oliver and James Phelps portrayed George and Fred Weasley in the Harry Potter film series. Natural brunettes, they had to dye their hair red for each film. How about these lovely ladies from Sweet Valley High? The Wakefield twins are portrayed by real twins! Cynthia and Brittany Daniel portrayed the twins in the Sweet Valley High TV series. Cynthia, now a photographer, has only four acting credits to her name, where her sister Brittany has been seen more regularly on screen, in films like Joe Dirt White Chicks, and on TV Shows like The Game. Bonus question: Are these septuplets from Whatever Happened to Monday actually septuplets in real life? This group of seven are all portrayed by a single actress. Noomi Rapace portays all seven sisters in the film Whatever Happened to Monday.